The Town of Amherst is ready to assist your business in finding the right site to grow. Our industrial park is home to companies in aerospace, green technology, food processing, manufacturing, and distribution sectors. Available buildings and development-ready sites range from one acre to 122 acres, located in the geographic centre of Atlantic Canada with easy access to road, rail, air, and sea. We’re looking for compatible businesses that are environmentally responsible, innovative, and focused on export markets. Let’s talk about your next big move! Click here for a map of available properties. 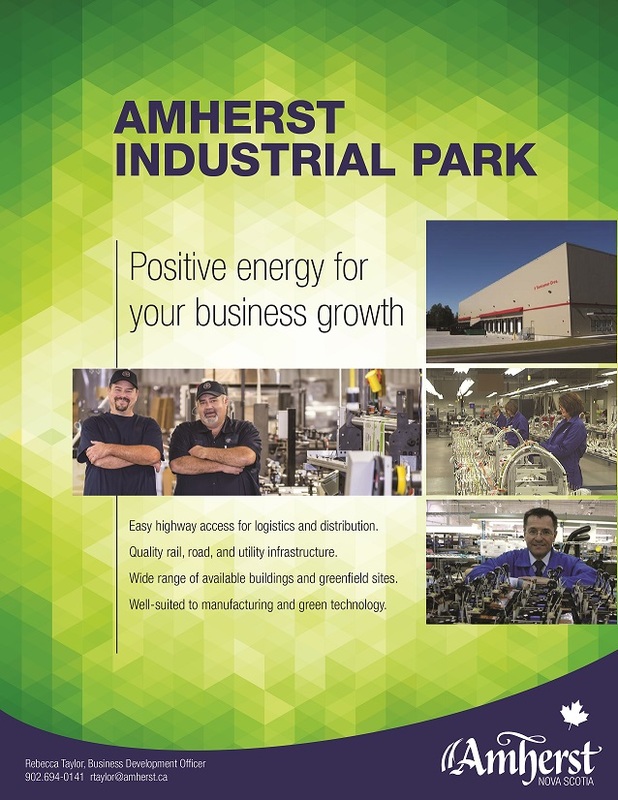 Click here to download the Amherst Industrial Park information brochure.